My country’s growing wealth hasn’t trickled down. 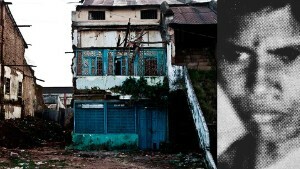 Just ask Amina, who lives in a slum in the shadow of one of India’s glitziest shopping malls. I took her there to see what she made of it. I remember the mattress wallah from my childhood. He carried our pillows and mattresses to the rooftop terrace to fluff and refill them with his cotton. Now “progress” threatens him and others who make their living in niche businesses. Twins Gagan and Muskan Juneja don't look alike except in one way: They are both overweight. 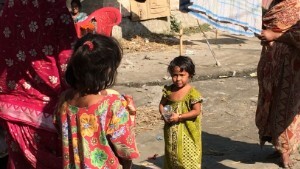 They are part of a disturbing trend in a nation that’s notorious for malnutrition. India is getting fatter by the day. 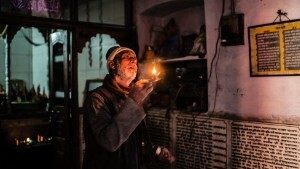 New Delhi (CNN) — In the bedroom Gagan Juneja shares with his twin sister, a small unit above the window blasts chilled air with storm force. Outside, the temperature on this day in Delhi has soared to 108. These days, middle-class families in India can afford air conditioning. It wasn't that way when I was growing up; much of the time, we didn't even have electricity when demand outpaced supply. Our house was dark and hot, and as soon as the sun began its descent, I ran outside to play with the neighborhood girls. I liked kabbadi, a team sport that is physically exhausting. Gagan tells me kids don't do that anymore. Why would they, he asks, when they have the comfort of AC and a variety of electronic entertainment at hand? Besides, it's too polluted -- Delhi generally vies with Beijing for top billing as the world's most polluted city. "Everyone has a scooty," Gagan says, referring to a popular electric bike. "There is no walking at all. No outdoor activity at all." Though they are twins, Gagan and his sister Muskan don't look alike except in one way: They are both overweight. They are part of a disturbing trend in my homeland: India is getting fatter by the day. Like many of their peers, the 17-year-old Juneja twins have been struggling with body fat. Not only are their lives sedentary, but they also love to eat. And their mother, who by all accounts is a tremendous cook, loves to oblige. They also eat out with their friends -- something I never did in my youth. 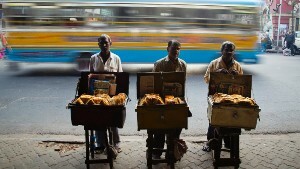 Back then, snacking meant buying cheap Indian street food, which usually came in small portions and was made fresh. I ask the Juneja siblings about their favorite restaurant foods. Gagan likes the rich Indian preparation of butter chicken and McDonald's chicken burgers. Muskan prefers Domino's cheese burst pizza. I think about a half page ad I saw on the front page of the Hindustan Times: Dunkin' Donuts touting its "Big Joy" burger. "They are fattening foods," Muskan says, laughing. "That's why I love them." The idea that my homeland has a weight problem is difficult for me to digest. India, after all, is notorious for its high malnutrition rates -- higher than even sub-Saharan Africa. But lately, it's also a place where obesity has skyrocketed into a national crisis. I had noticed India's growing girth on recent trips home and wanted to know more. That's what brought me to the Juneja twins. And why I sought out one of India's leading experts in drastic weight-loss measures. Dr. Pradeep Chowbey performs bariatric procedures on obese patients as young as 13. Dr. Pradeep Chowbey's office, in a hospital not far from the Juneja home, is decorated with photographs of the Dalai Lama. One of his specialties is gall bladder surgery, and he performed it successfully on His Holiness a while ago. But that's not what keeps him occupied these days. Chowbey stays busy because of India's obesity crisis. Like some of India's other problems, obesity partly stems from the country leapfrogging generations in industrial development. American industrialization took more than a century; India is trying to catch up within a few decades. I read a research paper in the Indian Journal of Endocrinology and Metabolism that says: "For developing countries like India, morbid obesity has not yet become a public health priority." "Why is this so?" the researchers ask. "Well, the reasons are still far from clear. Probably, India is, in our own eyes, still a country of poverty, hunger and malnutrition. Yet, statistics suggest otherwise." Chowbey tells me about a "disturbing" survey of 10th, 11th and 12th graders in public schools that found 33% of them were obese. Another study of 4,000 children in Delhi found 22% were overweight and 6% qualified as obese. This, in a country where more than 40% of children are underweight, many to the point that their futures are compromised. This peculiar problem affecting both ends of the nutritional spectrum is one reflection of India today, a nation that experienced rapid growth and with it, massive socioeconomic and cultural changes. 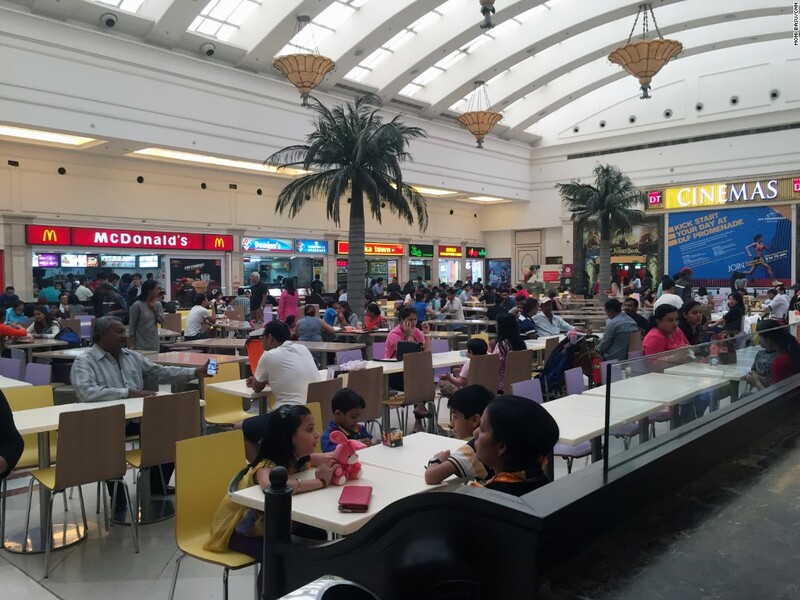 Fast food has become a staple at malls and shopping centers in Indian cities. On the one hand, India remains the developing nation of my childhood still struggling to end poverty, illiteracy and disease. On the other hand, India today is a fast-rising global power that's home to vast amounts of new wealth. Childhood obesity is mainly a problem of modern India, teeming with American-style malls, fast food outlets and newfound luxuries like cars and air conditioning that have dramatically changed the lifestyles of families with money to spare. Kids are far more sedentary than they used to be -- the pressure to study and do well in school is more intense than ever -- and whatever little spare time they have is spent these days on video games, mobile phones or Facebook. The problem is so prevalent that there's even an Obesity Foundation of India -- which also blames the prevalence of television commercials promoting unhealthy foods and poor eating habits. It estimates children's consumption of sugary sodas has increased by 300% in the last two decades. But obesity is not just affecting the urban well-to-do. Indian researchers have found it's also an issue in India's villages, where 3 out of 4 Indians still live. Increased automation, better transportation and improved standards of living have resulted in less active lifestyles and access to processed foods. A study in the Indian Journal of Endocrinology and Metabolism says the percentage of rural Indians who were overweight grew from 2% in 1989 to 17.1% in 2012. More and more young people are putting on the pounds, and as a result, gyms and fitness centers are doing booming business, as are more radical paths to weight loss. Chowbey performs gastric bypasses and other bariatric procedures on desperate patients as young as 13. 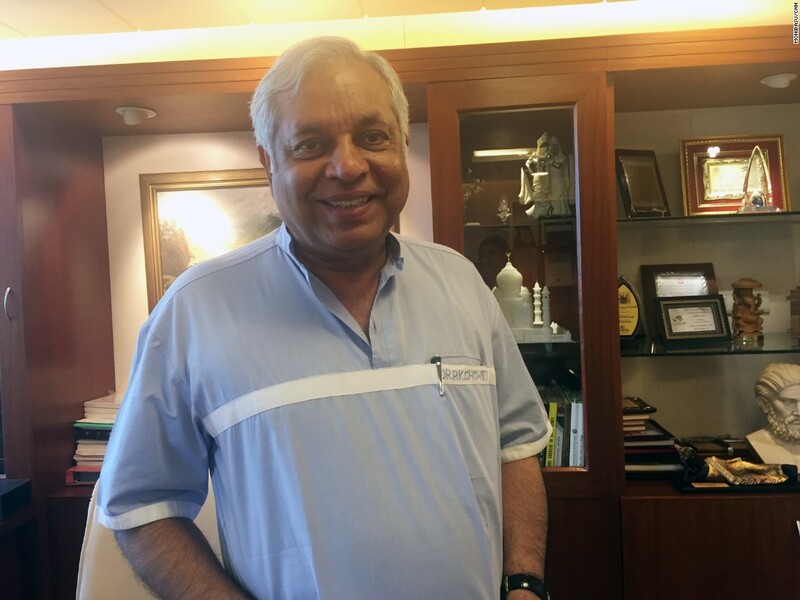 In 2001, India had four or five bariatric surgery cases, Chowbey tells me. Last year, that number rose to 30,000. Obesity has led to a host of other health woes growing at an alarming rate in India, including hypertension and diabetes. India is on track to own the unenviable title of diabetic capital of the world as soon as 2025 with more than 65 million Indians already suffering from the disease. Sadly, "diabesity" has become a common term in the Indian vocabulary. Chowbey says he was shocked when he first discovered how widespread obesity had become, especially among young people. He warns that India will soon end up as not only the world's most populous nation but also its fattest. "Obesity," he says, "is the mother and gives birth to so many children who are sinister for longevity. We have gone from under-nutrition to over-nutrition." Twins Gagan and Muskan Juneja say their lifestyles have left them struggling with their weight. Back at the Juneja twins' home, Muskan walks into their bedroom carrying a tray full of aloo parathas, a type of flatbread stuffed with potatoes. Except today's meal is made with olive oil instead of ghee, the highly caloric, clarified butter used in many Punjabi dishes. It's part of a family effort to get fit. Muskan went on a diet that allows her salads, soups and boiled eggs. Gagan, who is 5 feet 8, shot up to 222 pounds and began working out at a nearby gym. He normally works out around 9 p.m. but tells me he has not gone lately because of upcoming exams. He guesses 80% of his friends are overweight. By the time they get back from school on their scooty, eat lunch, take a siesta in the hottest part of the day, do their homework and study with tutors, it's almost 9 at night. Most of their day has been without physical activity. I hear that a lot from Indian youth: There's intense pressure to "study, study, study." India lacks enough good schools for its massive population, and so from a very young age, kids are conditioned to study and excel in class. It was that way in my youth as well, except it's even more intense now. Madhulika Sen, the principal of Tagore International School in Delhi, concedes Indian kids have an enormous amount of pressure on them. But she also blames parents and even the kids themselves for not recognizing the importance of physical health. "There cannot be so much academic pressure that they can't take out half an hour, one hour, for exercise," she says. "The parents also find it very convenient -- when they see their child sitting with books ... or that the child is on the computer, because then they're less troubled by the child." 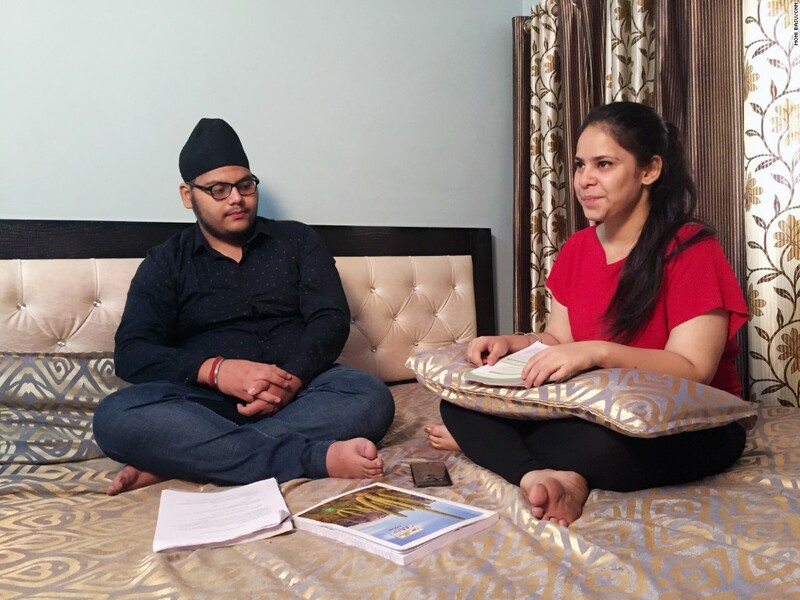 I leave Gagan and Muskan's house to visit Monika Mahna, a 39-year-old Delhi mom who decided she had to get proactive about her family's health. She tells me they were all overweight until she decided to take charge of her life and hooked up with a personal trainer. She lost about 45 pounds, her husband traded his jelly belly for washboard abs and her eldest son, Sparsh, is 20 pounds lighter. Sparsh, 17, says his parents inspired him to get fit. 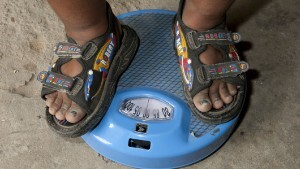 Monika's younger son, Mudit, 14, is still overweight. "I am obese," he readily volunteers. "I eat a lot and play video games a lot." He attends a well-known private school in Delhi where physical exercise is limited to only one hour a week. Monika chimes in and says soon she will get after Mudit to lose weight. "Indian mothers -- we love to stuff our kids. It's as though if you don't keep feeding your children, you don't love them. That's our culture." I think back to my childhood. Our main social activity was lunch or dinner at a friend or relative's house. Food was a way to shower love. Women were judged by how well they fed their guests. And there was no saying "no" to seconds or thirds or leaving food on our plates -- not when so many people could not afford to eat in India. But we also didn't have processed, high-fat foods in our diets. There was no McDonald's or KFC in India back then. We didn't even have television in my hometown of Kolkata until 1975. Sparsh tells me KFC is his fast food of choice but that he only eats it now on his "cheat day." Otherwise, he watches what he puts in his mouth. Then, as his mother gets dinner ready, he goes off to study. His physics tutor has arrived. Fitness expert Chirag Sethi describes India's weight problem as a dangerous epidemic. I met the Juneja and Mahna families through Chirag Sethi, a nutritionist and fitness expert who manages gyms and fitness programs in Delhi. He describes India's weight problem as a dangerous epidemic. Sethi says kids like Gagan and Muskan just don't move enough. Middle class Indians live more sedentary lives than Americans and average only 4,000 steps a day. That's 6,000 fewer steps than my daily count here in Atlanta. 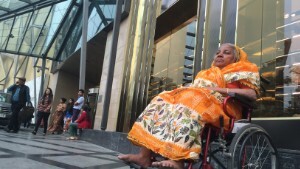 It saddens me to hear that Sethi often sees mothers encouraging their children to take elevators instead of stairs or grabbing a taxi or tuk-tuk to travel just half a mile. And then there is an added problem of genetics. South Asians are more prone than others to convert excess food into body fat, says Chowbey, the bariatric surgeon. He calls it a "thrifty gene" that was helpful when food shortages and poverty meant starvation in India. But now, it's an enemy. 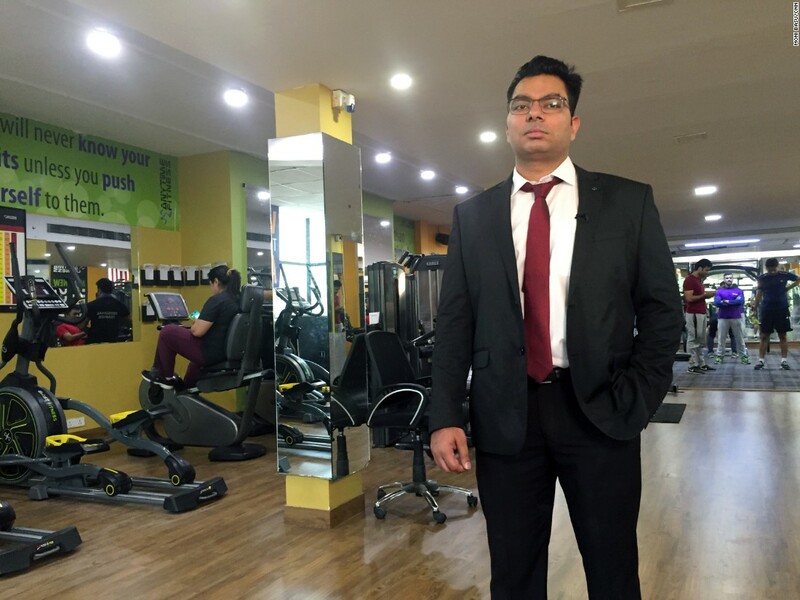 In the last few years, Sethi has seen an explosion of gyms and fitness centers in the Delhi area but he wanted to do more. He realized there was a dearth of fitness education and founded Classic Fitness Academy, which offers classes for trainers and nutritionists. At one of his south Delhi gyms, I notice quite a few kids huffing and puffing on treadmills and stationary bikes. It was rare to see obese children when I attended school in India. The few chubby children I knew were called "healthy." In my circles, being thin was considered "common" or lower class -- understandably so in a country that was then still reeling from famine. Things are different in a poor nation. Having meat on your bones has always been a sign of status and prosperity in my homeland. It means you are rich enough to eat well. That's what is uniquely Indian about the country's weight problem, Sethi tells me. If things keep going the way they are, one day soon there might be more obese people in India than anywhere else on the planet. "The attitudes and habits of the people need to change," Sethi says. It's as though India is where America was three decades ago, before people started to count calories and get into fitness regimens, before nutritional information was mandatory on food labels and a collective consciousness formed around being healthy. But even after all that, more than one-third of Americans are obese. So what does that bode for India and it's 1.2 billion people? Sethi and I ponder that question as we sit down for lunch at a popular south Delhi restaurant known for parathas, the buttery Indian bread the Juneja twins love. I look big-eyed at the plates of aromatic preparations and think: Good thing the gym is nearby. She was attacked at a rural police station, and her landmark case awakened India decades ago. But did she manage to love, have children, find happiness? A reporter’s quest to find her yields some surprising answers. In an ancient and sacred city, there is a place where people come to die. The guests are promised freedom for their souls but in this unusual place, one man found himself torn between two worlds. Meet the girl who was the final documented case of a disease for which there is no cure.